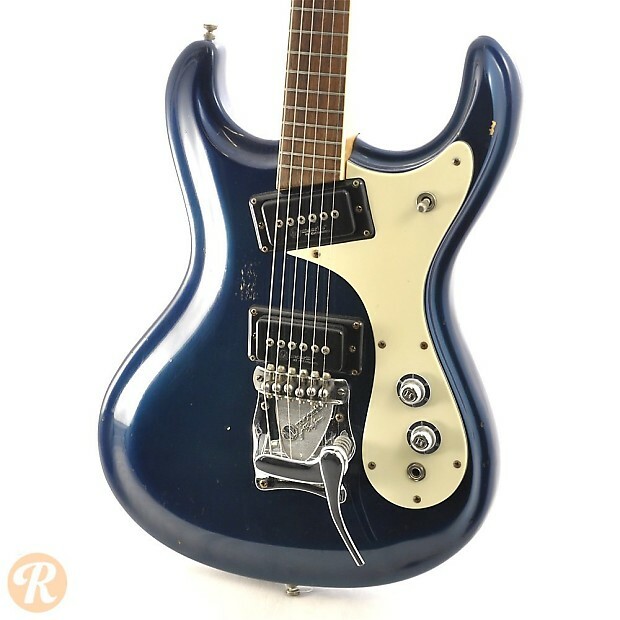 The Mosrite Ventures guitar was the result of a deal made between Mosrite founder, Semie Moseley and surf-rock band, The Ventures. 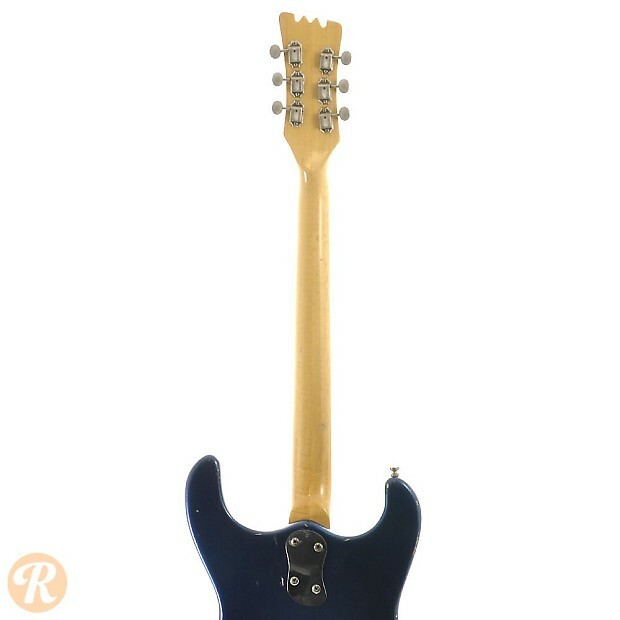 Moseley built the Ventures guitars from 1963 until 1967 when his arrangement with The Ventures ended. 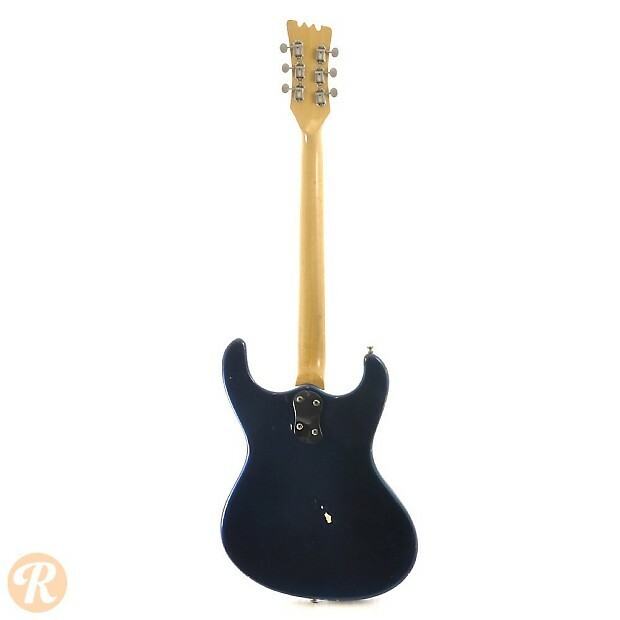 The Ventures guitar is characterized by a slim neck, high-output pickups, and its unique double cutaway body shape. 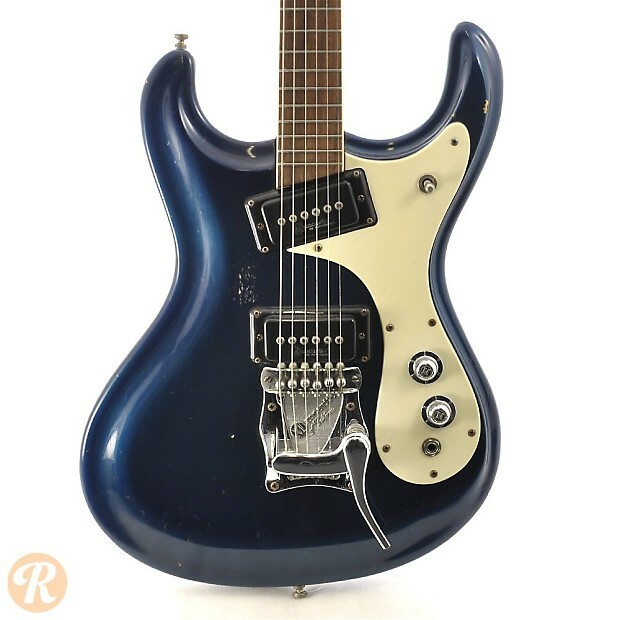 Moseley also incorporated innovative vibrato systems into many of his designs including the “vibramute” of the mid-’60s. 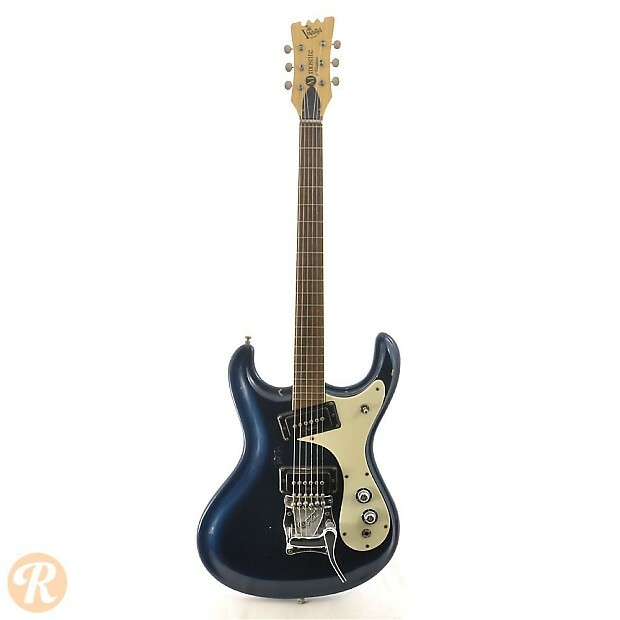 While the Mosrite brand and Venture guitar have been reintroduced at different points since, the original generation from the ‘60s are by far the most collectable. Unique to this Year: Volume and Tone knobs now have V and T labels. 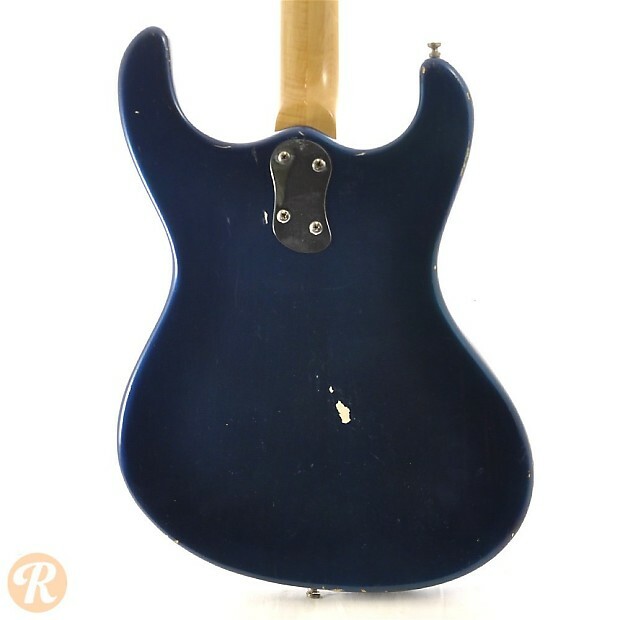 Tailpiece now labeled as "Moseley" instead of "Vibramute." 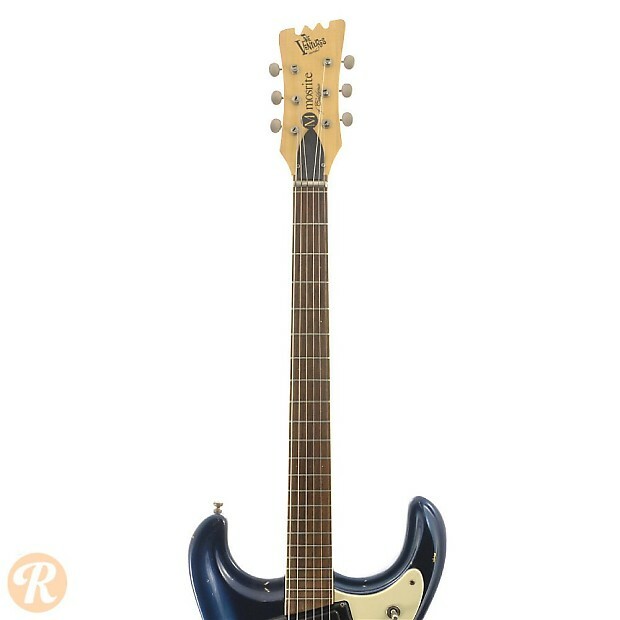 Design Elements: Bolt-on neck, dot inlays, vibra-mute tremolo system, 24 1/2-inch scale, Rosewood fingerboard, chrome plated control knobs.